According to the Greek historians Herodotus and Thucydides, a royal dynasty emerged from among the pagan Odrysian tribe in Thrace around the end of the 5th century BC, which came to dominate the area and peoples between the Danube and the Aegean. The Thracians, were an ancient Indo-European people inhabiting Southeastern Europe. The Odrysian Kingdom was a union of over 40 Thracian tribes and 22 kingdoms that existed between the 5th century BC and the 1st century AD. It consisted mainly of present-day Bulgaria, spreading to parts of Romania, parts of Northern Greece and parts of European Turkey. Archeological evidence, royal coin issues, and inscriptions indicate the survival of this dynasty into the early 1st century AD, although its overt political influence declined progressively first under Persian, Macedonian, later Roman, encroachment. Despite their demise, the period of Odrysian rule was of decisive importance for the future character of south-eastern Europe, under the Roman Empire and beyond. In 188 BC, the Romans invaded Thrace, and warfare continued until 46 AD when Rome finally conquered the region. In 46 AD, the Romans established the province of Thracia, a historical and geographic area in southeast Europe, centered on the modern borders of Bulgaria, Greece, and Turkey. Thraco-Romans became a dominant group in the region, and eventually yielded several military commanders and emperors such as Galerius and Constantine I the Great. Urban centers became well-developed, especially the territories of what is today Sofia due to the abundance of mineral springs. The influx of immigrants from around the empire enriched the local cultural landscape; pagan temples of Osiris and Isis have been discovered near the Black Sea coast. Christianity was brought to the Thrace and the rest of the Southern Balkans by Apostle Paul and Apostle Andrew in the 1st century AD. when the first organized Christian communities were also formed on what is now the territory of Bulgaria. The Apostle Andrew preached Christianity along the Black Sea and St. Paul, in Macedonia, Greece and the Aegean. It is noteworthy that the Roman provincial policy in Thrace favored mainly not the Romanization but the Hellenization of the country, which had started as early as the Archaic period through the Greek colonization and was completed by the end of Roman Antiquity. Saint Paul’s first mission to Philippi, a city in eastern Macedonia (Thrace) was the first European town in which St. Paul preached the Christian faith. He arrived there with the missionaries Silas, Timothy, and Luke around the end of 52 A.D., on the occasion of his second apostolic voyage. He along with other missionaries began to convert the local population of northern Greece, the most important taking place among women of rank, who seem to have retained their influence for a long time and helped spread the faith. Paul and Silas then set out for Thessalonica. Luke, however, continued to work for five years in Macedonia. 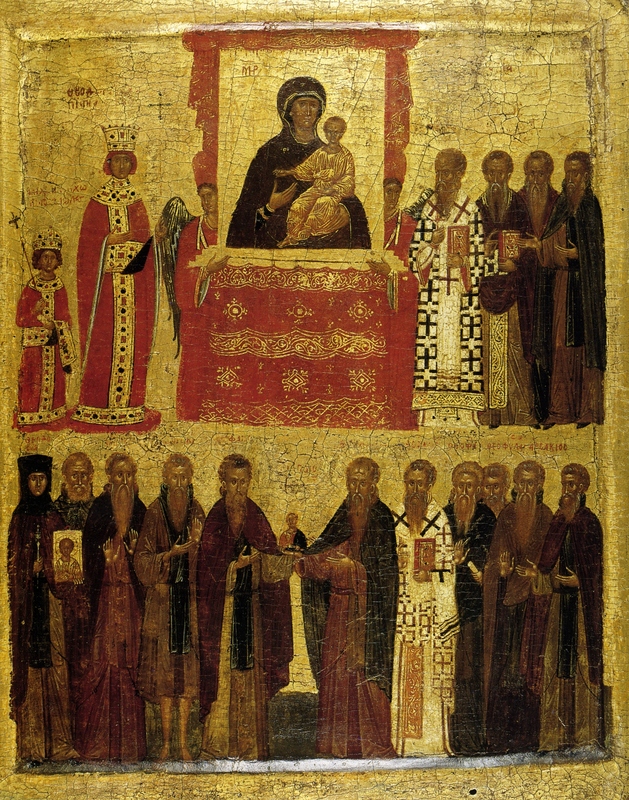 Thessalonica, the major northern Greek city where it is believed Christianity was founded by Paul, thus an Apostolic See, and the surrounding regions of Macedonia, Western and Eastern Thrace, and Epirus, which also extend into the neighboring Balkan states of Albania and Bulgaria, became early centers of Christianity. The spread and conversion among the Thracians was likely to have emanated from these early Macedonian missions. From the early 1st century – mid to late 1st century AD Saint Andrew is believed to have preached along the Black Sea coast, Thrace, Macedonia, the River Danube, and along the coast of the Black Sea, through Crimea and along the River Dnieper to the place where the city of Kiev now stands. According to Hippolytus of Rome, St. Andrew preached in Thrace, and his presence in what would become Byzantium is also mentioned in the apocryphal Acts of Andrew, which is the earliest testimony of the acts and miracles of the Apostle Andrew. 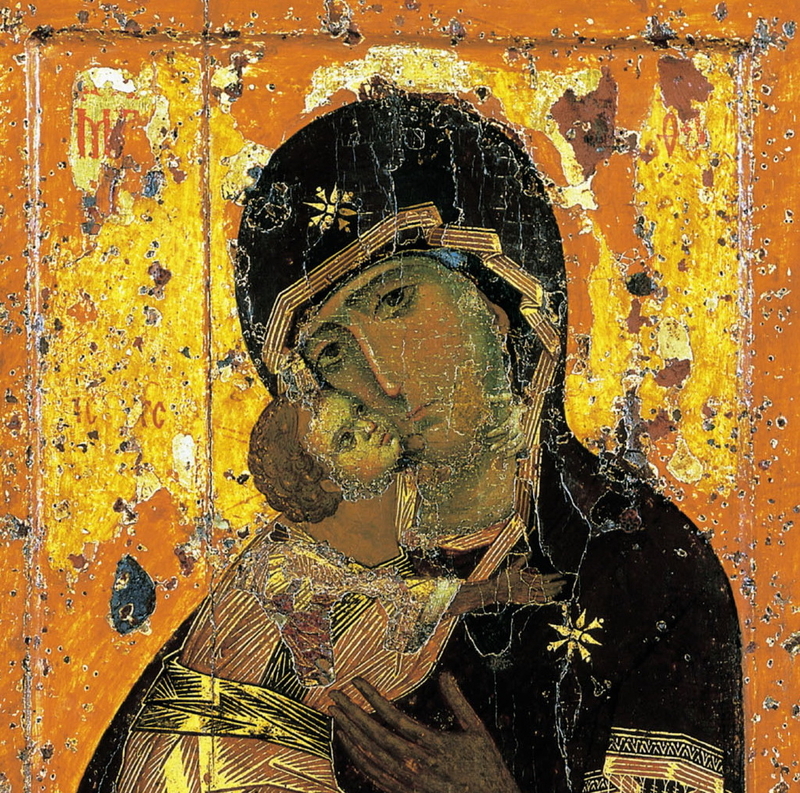 The surviving version is alluded to in a 3rd-century work. Basil of Seleucia also knew of Apostle Andrew’s missions in Thrace, Scythia and Achaea. Christianity is likely to have spread from the coast of the Back Sea among the Greeks and Thracians to the interior of what is presently Bulgaria. In 106 AD the Emperor Trajan invaded Dacia (Romania). Subsequently Christian colonists, soldiers, and slaves came to Dacia and spread Christianity in the northeastern Balkans. By the 3rd century the number of Christians had grown throughout the southern Balkan peninsula due to the continued evangelization efforts and settlement of Christian communities in the Eastern Roman empire, specifically in Greece, Macedonia, Thrace, and Moesia. Around the beginning of 200 AD a phase of major population movements started in the European the regions outside the borders of the Roman empire. Successive barbarian incursions and invasions began and continued over the next three hundred years. After 238 AD, Moesia was frequently invaded or raided by the Dacian Carpi, and the East Germanic tribe of the Goths, who invaded Moesia (northern Bulgaria) in 250. This was followed by further massive Danubian invasions of Moesia and Thrace under the leadership of the Gothic king between Capri in 245-247 AD until a peace was reached. 252-253: The Carpi joined Goths and two Sarmatian tribes (the Urugundi and the Borani) in an invasion of Roman territory, ravaging Moesia and Thrace. 256-257 ravaged Thrace and lay siege unsuccessfully to Thessalonica in Macedonia. 259-260: “The Scythians, including every people of their country” launched a massive invasion over the Danube and again invasions took place in 265-266 and possibly the largest of all, 267-268, which was a seaborne invasion which penetrated the Aegean Sea, landed in Macedonia and proceeded to ravage Thrace. Rome conducted 5 more wars against the Capri and allied tribes over a 21-year period from 296-317. However, the arrival of a new threat—Huns—from Central Asia changed the political layout north of the Danube: “the Huns threw themselves upon the Alans, the Alans upon the Goths, and the Goths upon the Taifali and Sarmatae.” Hard-pressed by the Huns, the Goths again crossed the Danube in 376 and with Roman permission settled in Moesia. These Goths are known as Moeso-Goths, for whom Ulfilas evangelized the Goths. Ulfilas was a Goth of Cappadocian Greek descent who served as a bishop and missionary, and made the Gothic translation of the Bible. (c. 311-383) believed to have descended from 3rd-century Cappadocians, who, captured by the Goths, was ordained a bishop by Eusebius of Nicomedia and returned to his people to work as a missionary. In 348, to escape religious persecution by a Gothic chief, probably Athanaric he obtained permission from Constantius II to migrate with his flock of converts to Moesia and settle near Nicopolis in modern northern Bulgaria. There, Ulfilas translated the Bible from Greek into the Gothic language and devised the Gothic alphabet. The Alans and Goths, who escaped from the majority of Huns, crossed the Danube in 376, and fought Battle of Adrianople in 378. Throughout the early part of 400 AD numerous Hunnic raids took place across the Danube. In 422, there was a major Hunnic incursion into Thracia launched from Danube, threatening Constantinople, which ended with a peace treaty which Rome. A peace treaty between the Huns and the emperor of the east, Theodosius II, included a payment of subsidies to the Huns of seven hundred pounds of gold each year. In 441, Theodosius stopped these payments. The Huns retaliated by launching an assault across the Danube River into Illyricum, razing a number of cities, including Belgrade and Sophia. The Huns, led by Attila, devastated the entire region between the Black Sea and the Mediterranean. The Bulgars invaded Europe around 370 AD as a part of the tribal confederacy of the Huns. During the next seven decades The Huns built up an enormous empire. The Bulgars, a people of Central Asia, most believed Turko-Altaian and Indo-Arian. The religious notions of the Bulgars were primarily pagan and shamanistic rituals. Thus in 480 AD Byzantium signed its first agreement with the Bulgars. In 482 the Byzantine Emperor Zeno asked the Bulgars to aid him in the fight against the Goths. in 488 AD the Goths were forced by the Byzantines and the Bulgars to out of the Balkan Peninsula. Only five years after the Goths had been driven out, the Bulgarian troops invaded Thrace, defeated the Byzantine army and killed their Emperor Julian. In 499 AD a new attack of the Bulgars led up to another humiliating rout – the whole Illyrian army perished. In 502 AD the Bulgarians conquered and plundered all of Thrace. From 513 AD onwards the Bulgarian raids against the European possessions of the empire became annual, but by 540 AD the Bulgarians were no longer satisfied with only looting, but adopted siege techniques and started conquering fortified Byzantine outposts. Avars invading from the east, now incorporated the Bulgar tribes of Utiguri, Kutriguri, and Saber into their tribal confederacy. The Avars engaged in wars against Byzantium, almost occupying Constantinople in 626. Once again, Bulgar troops were the muscle behind the Avars. The Avar Khagnate had weakened as a consequence of the internal skirmishes for the throne, the Bulgars had gained strength and in 632 the Utigurs broke loose from the Avar khanate. Kubrat was now the Khan of the newly independent Unogondur Bulgars, and all the other Bulgar tribes of that region. As for the Slavs, who had come to Moesia and Thrace in 627, only a few decades before the Bulgarians, they were numerous, but only formed families and small tribes, hunting and fishing and building wooden huts. By the time the Slavonic tribes migrated south of the Danube in the early 7th century, there wasn’t a single representative of the Thracian language or culture left to form part of a Bulgarian state. Between 630 and 635, Khan Kubrat managed to unite the Bulgars, Onogurs with the tribes of Kutrigurs and Utigurs under a single rule, creating a powerful confederation which was referred to by the medieval authors in Western Europe as Old Great Bulgaria or Patria Onoguria. According to some scholars, it is more correctly called the Onogundur-Bulgar Empire . Kubrat had sent to Constantinople and spent about 20 years there, educated alongside future Byzantine emperor Heraclius. The two became friends, and Kubrat was baptized (his tomb, found in the 20th century near the Ukrainian town of Poltava shows Christian insignia on his seal and his weapons). Furthermore, far from being a savage pagan, Kubrat was likely one of the most well-mannered, cultured and educated Bulgarian of the Middle Ages, Christian and raised in Constantinople from a young age. Kubrat maintained peaceful relations with the East Roman (Byzantine) empire and was honored with the title of Patrician by the Roman Emperor. Upon the death of the emperor in 642 AD, Khan Kubrat supported his widow Martina and their children to whom he had been strongly attached, in their battle for the emperor’s throne. After suffering a defeat at the hands of Bulgars and Slavs, the Byzantine Empire recognized the sovereignty of Asparuh’s Khanate in a subsequent treaty signed in 681 AD. The same year is usually regarded as the year of the establishment of Bulgaria. A smaller group of Bulgars under Khan Kouber settled almost simultaneously in the Pelagonian plain in western Macedonia. After the disintegration of the Hunnic Empire the Bulgars dispersed mostly to eastern Europe. During the 4th through the 6th centuries prior to, and during the repeated barbarian invasions, the Constantinople Patriarchy had stepped up its missionary activities with considerable success establishing a number of new episcopacies, clergy, churches, and monasteries. The structures of the church were steadily evolving throughout the Balkans.